Ruthanne Lodato was shot to death as she opened her door in Alexandria, Va. last Thursday. ALEXANDRIA, Va. — The investigation into a murder that shocked the Alexandria community has taken a new turn, with federal agents helping local police. The Alexandria Police Department has received hundreds of tips since investigators released a sketch of the suspect. The FBI is now assisting police sift through all that information. Neighboring agencies are also following up on the sketch, says Alexandria police spokeswoman Crystal Nosal. “They’re all looking at the composite. Their officers are talking to people that might fit the description of the composite,” Nosal says. According to authorities, a gunman knocked on the door of Ruthanne Lodato’s home last Thursday and shot her when she answered. The homicide appears to be random, but the investigation is ongoing, with Alexandria leading the effort. Detectives and officers plan to canvass the area surrounding the crime scene Monday, speaking to neighbors and handing out flyers. 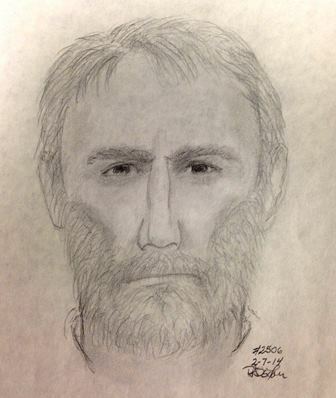 The suspect is described as an older, balding white man with a gray beard.